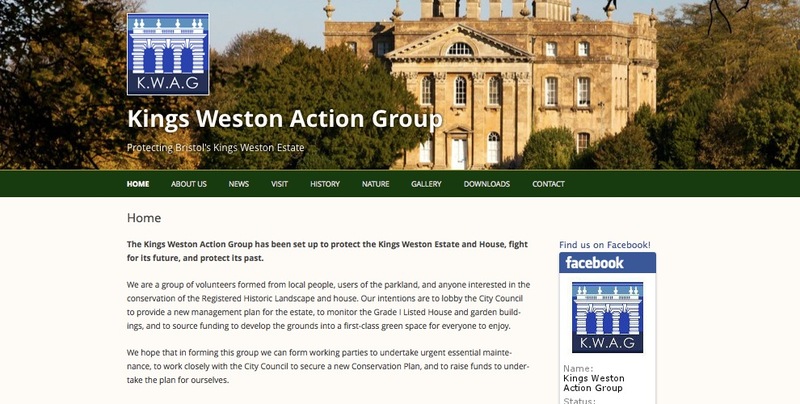 KWAG, the Kings Weston Action Group had outgrown their simple blog, and wanted a website that showcased their work and let them manage their wealth of information on this beautiful historic building and its estate. I kept things simple by building on their existing WordPress site, expanding the stock Twenty Twelve theme using imagery taken from KWAG’s photographic archive. I used a mixture of third‐party plugins and custom code to make the site as simple as possible for them to manage. Want to hire me for something WordPress‐related? Get in touch through my company website.